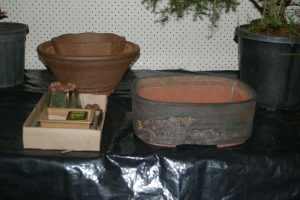 For this June meeting, the focus for presentations and discussions was on the selection and use of pots (or other containers) for Australian native plants as bonsai. 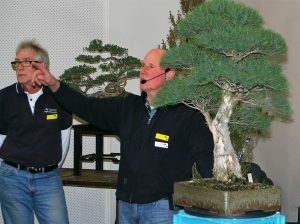 Commencing with a review of the Japanese principles and guidelines on the appropriate selection of pots for display of trees of different species and styles, the discussions quickly developed into a review of a number of the trees on display at the meeting. 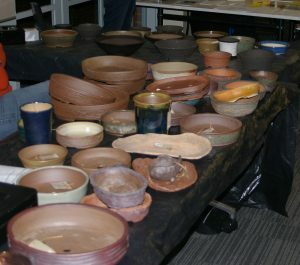 Considerable debate and challenge about the pots either in use for some trees, or being considered as possibilities for others, followed. 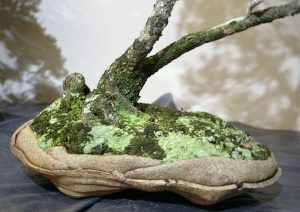 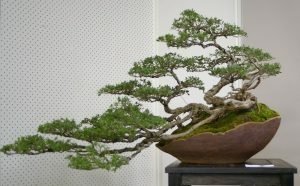 Quite a range of views were expressed as to the overall impressions being developed for bonsai trees from a range of Australian species, including several Melaleucas, Leptospermums, Banksias and others. 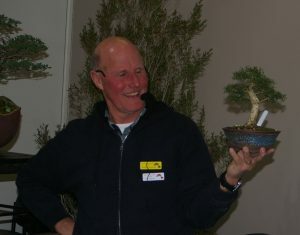 With the help of a paper provided by Roger Hnatiuk of Canberra for members to consider as well, and input from a number of pot-makers present at the meeting, the possibilities presented by the use of the earth tones of Australian landscapes and rocks were seen to provide some great options for the future for containers for Australian species as bonsai. 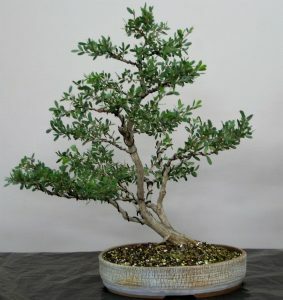 Is this the best pot for this Melaleuca raphiophylla? 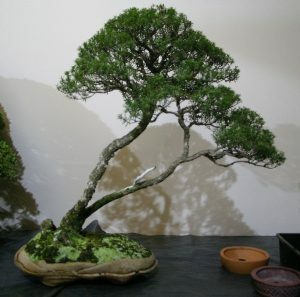 Why, or what else? 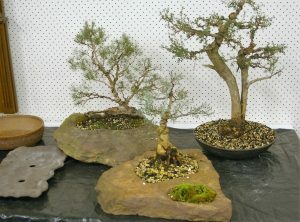 And not forgetting the smaller trees! 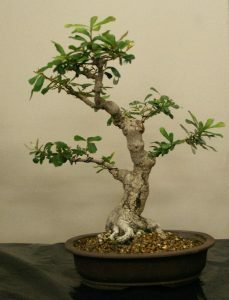 Banksia integrifolia, and could this be the most suitable pot?